Interieur van het Plein in Zutphen; een revitalisatieproject dat ik onlangs heb mogen fotograferen voor meerdere partijen, waaronder Het Plein zelf, Lindhorst Huisvestingsadviseurs en Kor Zijnstra. A while ago I visited the NMM (National Military Museum/ Nationaal Militair Museum, Soesterberg). It's a newly built museum with a lot of old military equipment and quite a few airplanes hanging from the ceiling. A huge building with a construction that has to carry a lot of weight, but it feels very open and light and it's really very beautiful. About a week ago I visited the Havenkwartier. 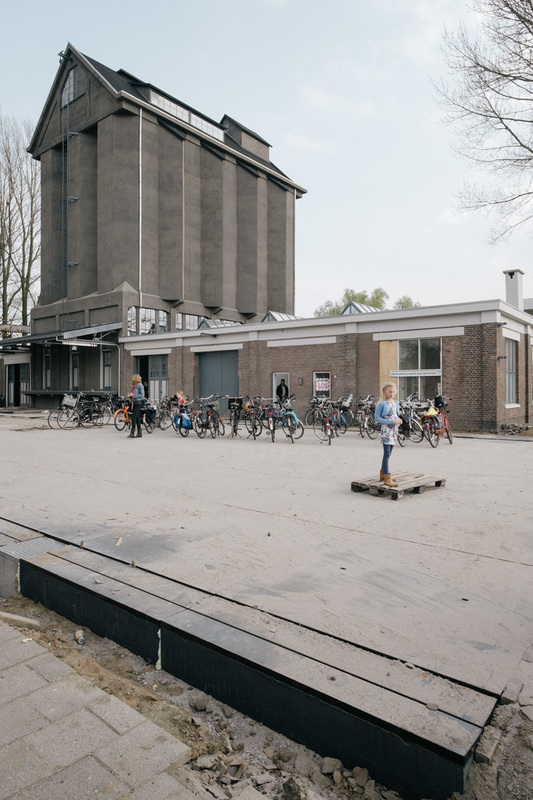 The 'black silo' (zwarte silo) was open to the public so I was able to take a few snapshots inside. It still has a beautiful and industrial atmosphere even though it's quite empty now. When I visited the Drents Museum I was expecting to see the new wing (and take a few pictures of it, of course). Unfortunately they were still working on the new exhibition at the time, so I had to be content with looking at a small part of the new wing and visiting the old part of the museum. The old wing is definitely very beautiful as well. I'll go back for the new wing later this year. A while ago we visited Museum Küppersmühle in Duisburg (Germany). Art works like 'Traum des Künstlers' by Markus Lüpertz and the 'Sternenlager' works by Anselm Kiefer were definitely worth the visit, as was the building itself with the modern architectural addition by Herzog & De Meuron. The main entrance and the staircase from the outside. I took a few pictures of the spectacular staircase from the inside as well. To be honest, it's not enough to look at the pictures (then again- is it ever?). This is one of those interiors you'll want to experience yourself- you just have to see and feel the material that was used up close and personal. The area itself, the inland port, is beautiful as well. We'll definitely want to visit there again. When I bought the Fuji X100, I had finally found my all-round camera- a camera with 'analog' controls, beautiful output and not too much nonsense. The only downside-for me- was the fixed lens. Don't get me wrong, I love primes, and a 35mm lens is great. I'd rather go out and about with just one prime than with multiple primes (or a zoom lens). Keeps things simple. Still, I love a bit of wide-angle. I decided to wait a little- it's not like I don't have enough cameras to work with- so I could think it through and be sure this was what I 'needed'. Yes, those quote marks.. I mean, seriously, how much do I need another camera? Will it add anything? Will it help me, or will it just be another choice whenever I go out or when I start working on a project? Is it something I think I need just because it's such an amazing little gadget? I decided I did 'need' this camera after all, because it would give me something I didn't have- but really wanted; a very nice wide angle prime lens (21mm) on a very good little camera; a camera I wouldn't mind lugging around all the time. Which, unfortunately, I can't say about my dslr. I never take it with me anymore. It's too heavy, it attracts too much (and the wrong kind of) attention and I don't love that dslr, I never really did. It's a tool, and whenever I have architecture/ interior jobs it's the right tool. For everything else it really doesn't suit me. So I sold my 16-35mm, a lens I hardly ever used and kept around 'as a backup, just in case'. It turns out, when I had to bring in my shift lens for repairs I considered renting that same shift lens for a job I had, but I NEVER considered using the 16-35 for it. Then I bought the 14mm (=21mm) lens with the X-E1, and did a quick interior shot to see how well it really performed. I mean, you can read every review out there and conclude it has hardly any distortion and should be almost perfect, but seeing it for yourself is kind of a different thing. Besides, I'm a bit picky. I cropped a tiny bit off the interior shot (up, left), but didn't do any perspective adjustments or straightening. Same goes for the second shot- I was trying to get a nice shot of the pump when my cat decided she had to see what was going on, so excuse the cat. Cropped off the top there. I'm rather happy to be honest. It won't- ever- replace my shift lens, but the quality is amazing. I'm looking forward to using that 14mm a lot, everywhere- unlike the 16-35. A yearly tradition: visiting Noorderlicht, the Dutch photo exhibition in either Groningen or Friesland. 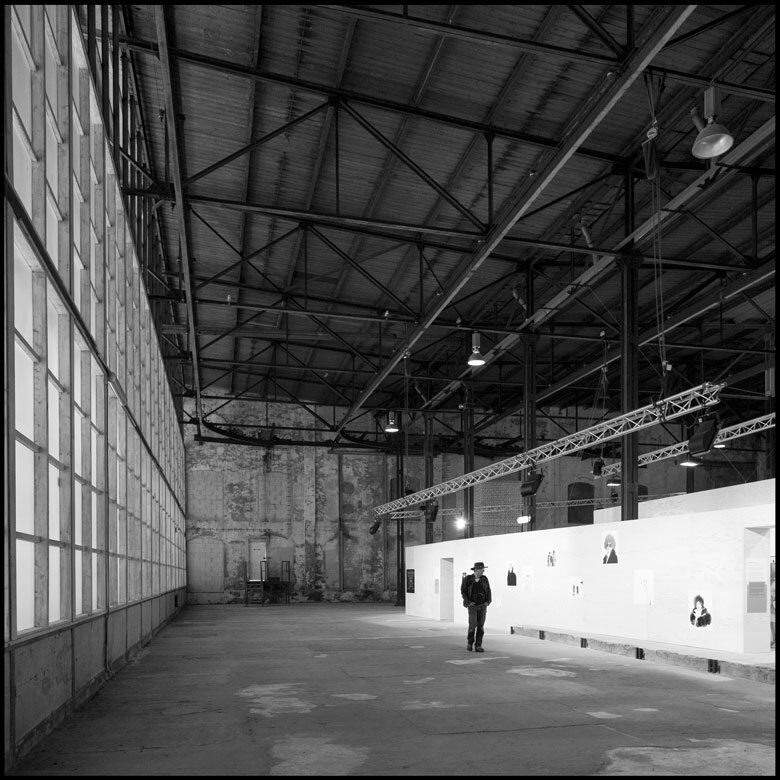 This year the exhibition took place in the old Suikerfabriek (sugar factory) in Groningen, a beautiful place (but rather cold, so learn from my mistake and don't leave your coat in the car just because it's nice and warm outside). The exhibition on the first floor, 'To have and have not' had the most impressive works. For me, Kadir van Loohuizen, Christian Kryl, Francisco Reina, Xiaoxiao Xu, and Kennardphilipps stood out most. We visited the Stedelijk Museum (Amsterdam) today. I was particularly impressed with Kudo Tetsumi's work ('Cultivation by Radio-activity in the Electronic Circuit'), Yayoi Kusama's boat sculpture ('Aggregation') and with the sound installation in this staircase- which you really need to go and experience for yourself, so I'm only showing you a picture of the staircase. ~I have to admit- I don't remember the name of the artist, if it was in fact stated anywhere. I found two different blogs attributing it to two different artists, so I decided not to add to the confusion as well. Shot the exterior and interior of BUHA in Doetinchem, an old building renovated into a beautiful and sustainable office building. You can clearly see the 'floating' structure of the two floors in the office cafeteria. The last (realized) project by Ivan Ezerman. We will miss you. 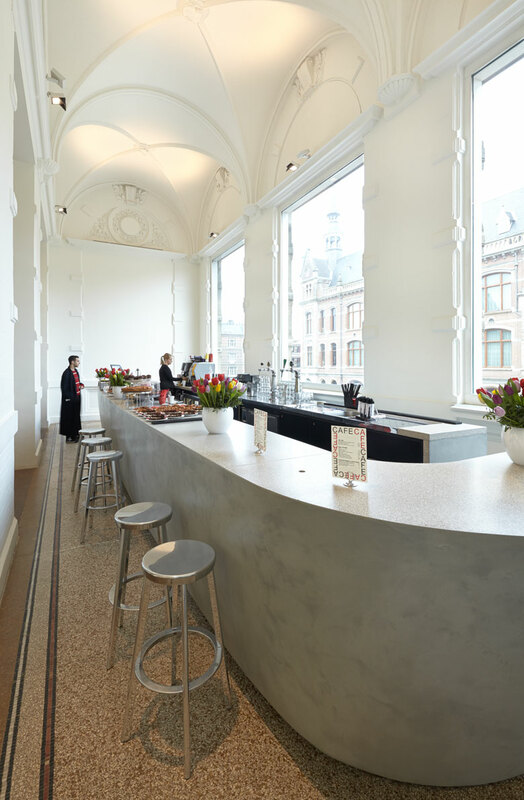 Interior job for Concern, at the Stedelijk Museum, Amsterdam. Zadelhoff Café. A selection of the photos I took from Portaal, a housing corporation in Utrecht. 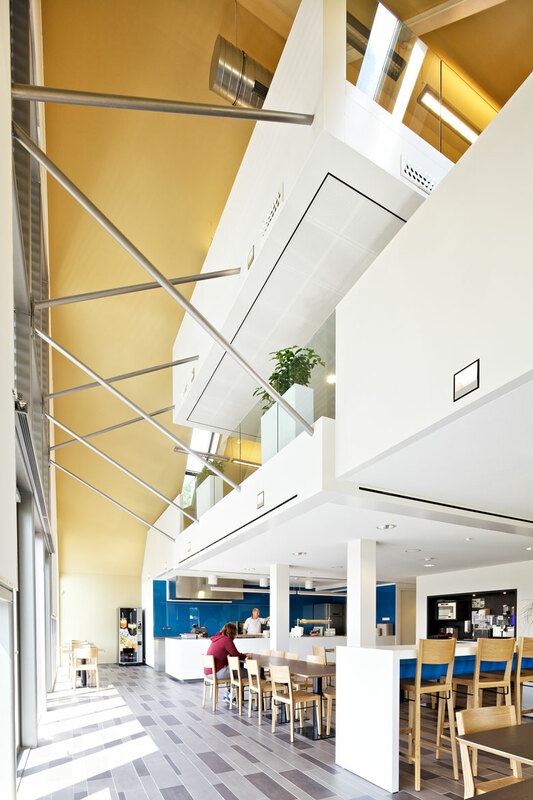 A renovated building- transformed into a pleasant, light working environment with many flexible office spaces.